CALLING ALL ICE CREAM LOVERS! RED WINE ICE CREAM RECIPE! Red Wine Ice Cream!?? No Way! Might have to be incorporated into the festivities this weekend brings! Enjoy! 1. Pour wine into a large pot and bring to a simmer. Add cinnamon sticks and peppercorns. Simmer until the wine is reduced to 1 cup (it should take about 1 hour). 2. In a large pan, bring the milk, cream and half of the sugar to a boil and turn off heat. In a bowl, whisk together yolks and remaining sugar. Temper the yolks into the boiling milk by gradually whisking about 1 cup of milk into the yolks and adding this back into the pot with the remaining milk. Stir in the salt and the vanilla. Whisk in the reduced wine. Set pan over a bowl full of ice to cool. Pour the chilled ice cream base through a fine mesh strainer. Process the base in an ice-cream maker according to the manufacturer’s instructions. Freeze at least 2 hours before serving. 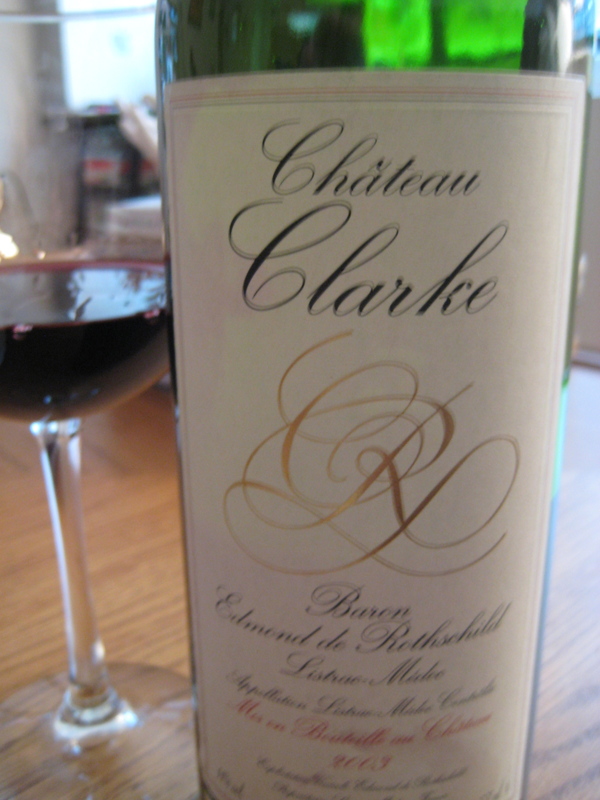 Sunday sipping on a gift from a dear friend, Chateau Clarke, Baron Edmond de Rothschild, Listrac-Medoc, Bordeaux Cabernet Blend - 2003, an elegantly full-bodied, supple red wine to enjoy for a special occasion or to go with a great home cooked meal. A very full and robust red with tastes of dark ripened fruit, smokey, full of tannins with a strong and long lasting finish. Thoroughly enjoying this lovely wine on this fabulous Sunday with a nice Italian homemade meat lasagna and loving every bit of it. Can’t wait to have it with extra dark chocolate for dessert later! A truly overlooked treasure on the Upper West Side hidden between a row of other more dominating italian restaurants and wine bars, this gem could be considered yet another wine bar that the average passerby probably ponders, “I walk by this place 1000 times and always have wanted to go”. If you find yourself in this train of thought, then I must say, GO! Don’t be fooled by it’s small and quaint appearance categorizing it as another ‘traditional wine bar’ as this place offers something special. 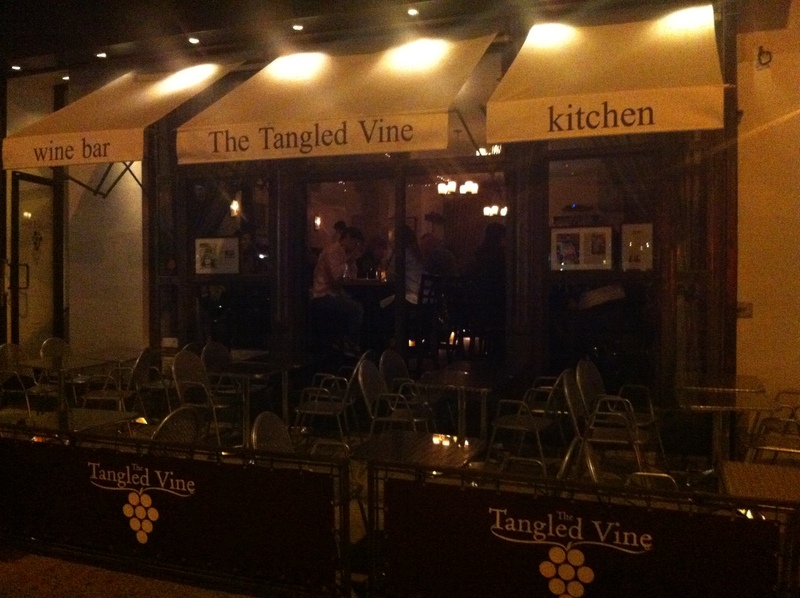 First off it could easily live in the West Village as both the food, wine and atmosphere is in par with Vyne, Turks and Frogs (although Turkish, a Tangled Vine could be a nice Italian complement) and a few others but overall it would blend in nicely. When you walk in although looks coy feels like a party! Loud, great music, and knowledgable bartenders add to the overall spirit of the wine bar and make this place a great after work happy hour spot, early dinner turned into late evening of after dinner drinks and laughs and a casual 2nd date spot. Also definitely going on my list for wine bars i’d rather sit at the bar with wine and bites vs. at a table. Enjoying ourselves at the bar, we went straight to the wine list which I would categorize as an “easy read” since it serves as a great “guide” to the wines they offer per glass and bottle. It is organized by grape variety which makes it easy to quickly flip to what you are in the mood for – red, rose and/or white. After each glass listed, it has a brief description with non-intimidating wine words that tells you exactly what to expect. It almost forms a story of the wine for you to make the wine decision that much easier and enjoyable. Something that I have yet to see throughout my NYC wine bar ‘journey’ is their offering of ‘Wine Trios’ that offer “variety of different wine trios, grouped for comparison between grapes, regions, or winemaking styles. Each glass is a 2oz serving, for a total of 6oz of wine in each flight. All of the trios come with optional food pairings in tasting-sized portions, a traditional service found in European cafés.” This presented a great way for people to explore wines and spirits in an organized style. Another fun element to their list are their “rules” that they present to you when you first open the wine list to get you and your party EXCITED and ready to DRINK! • Every wine on this list is here for a reason. Either it‘s got great taste, historical vineyards or honest winemaking to its name. Ideally all three. • We are a European wine bar focusing on the old world and old vines, primarily from the historical wine producing regions of the Mediterranean. • We concentrate on small grower-producers or vintners who practice organic, biodynamic and sustainable viticulture, resulting in natural, un-manipulated, and above all, DELICIOUS wines. • Don‘t just drink what you know; drink what you don‘t. 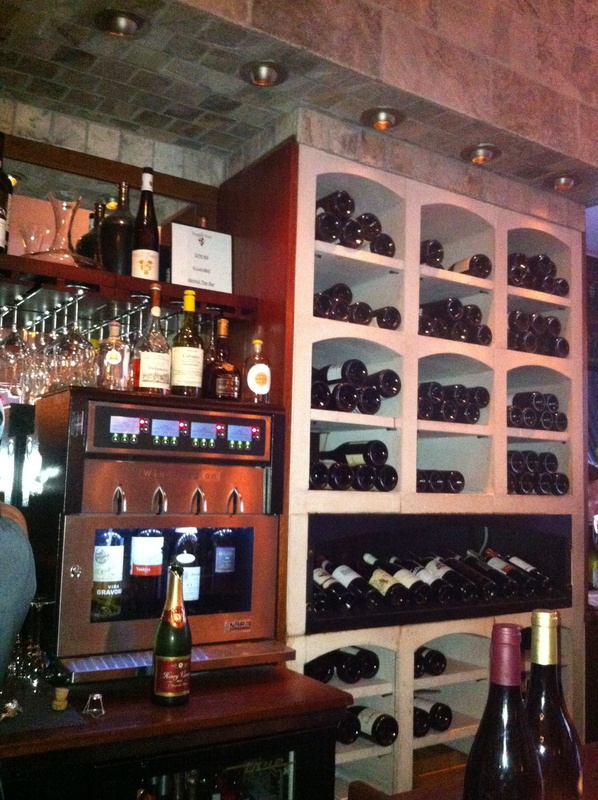 • Wine without food is always a pleasure, but wine with great food is a sheer delight. Now eat something, you look hungry. 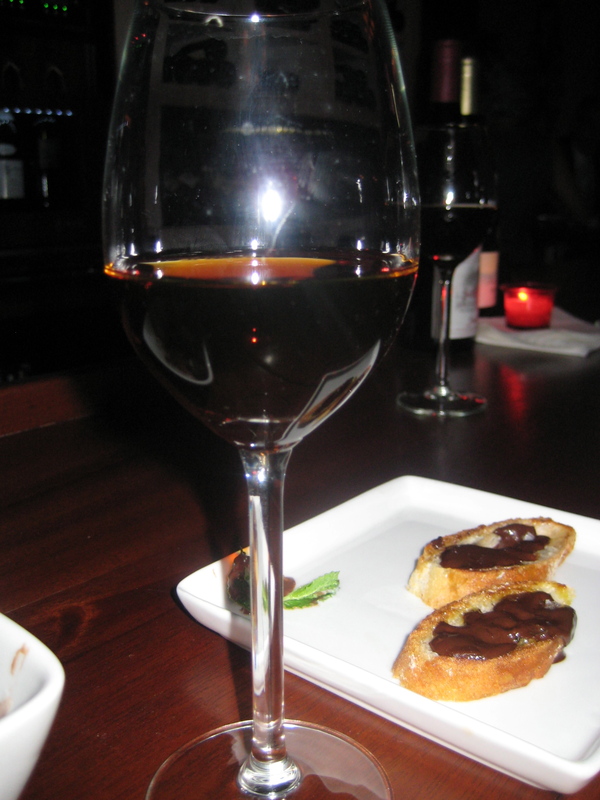 To end our night we ventured to the after dinner drinks and since I’ve been very into spanish wines, ordered two Oloroso Sherry’s for us to try which we accompanied with the Pan con Chocolate; Belgian chocolate, Maldon salt, Arbequina olive oil. Both the drink and dessert fused nicely together as it was the perfect sweet and salty treat! It was very tasty and afterwards we both felt relaxed and were put into a magical trance for the rest of the night! 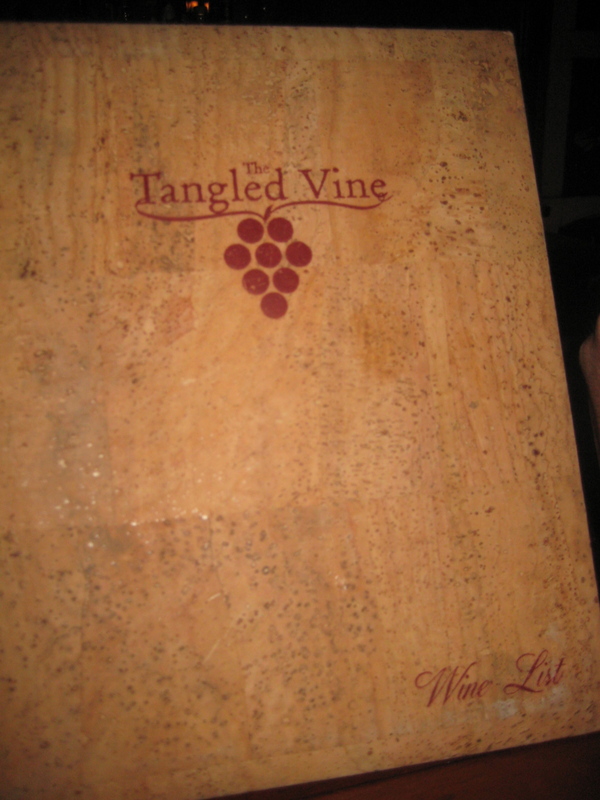 Overall, a highly recommended wine bar for a casual night of food, wine, music, and relaxation. Check out their website for their Monday deals and Happy Hour details! Enjoy!